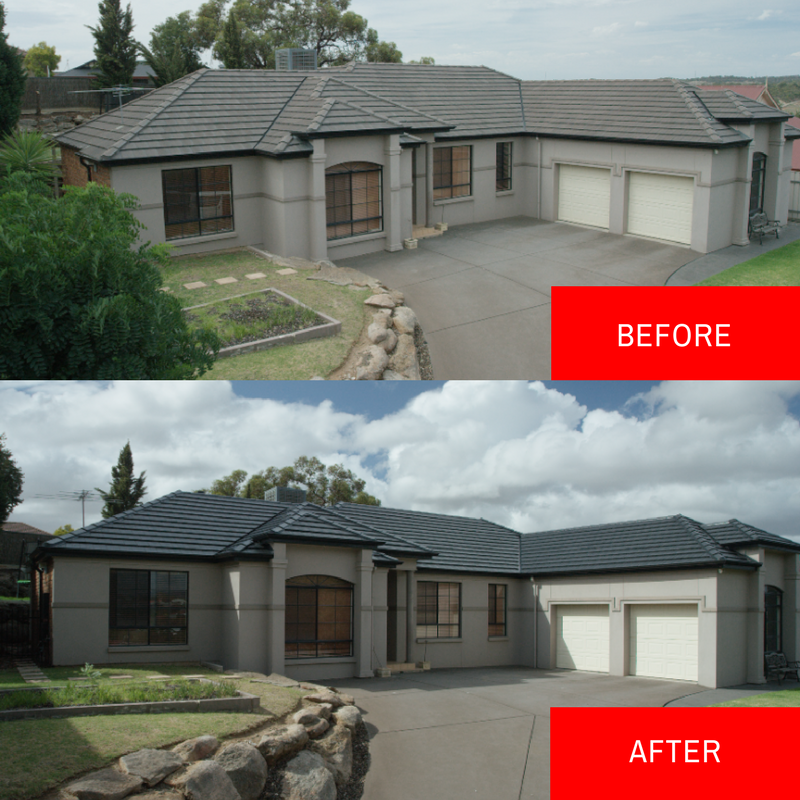 ROOF RESTORATION WITH ROOF SEAL®. PROTECT YOUR INVESTMENT TODAY! Why do you need a roof restoration? Your roof takes up as much as 50% of your homes exterior and is completely open to the elements. Due to changing weather your roof is put through strenuous circumstances on a daily basis and overtime this will have a toll on your roofs ability to keep the elements out. Having your roof restored by Roof Seal® will get your roof back up to standard, keeping the elements out and leaving you with peace of mind. 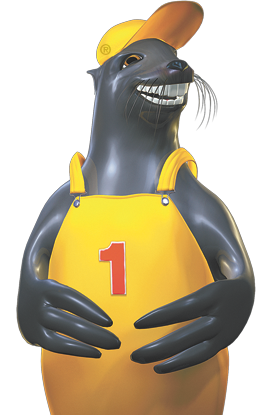 Whatever your individual Roof Restoration requirements are – The Difference is Roof Seal®!! 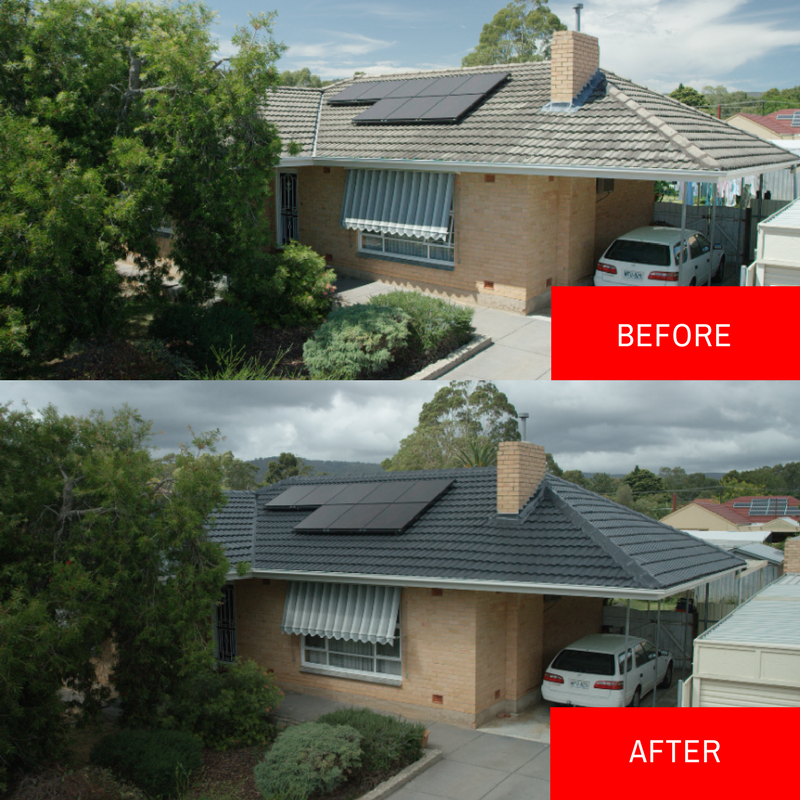 The Seal Group is a leader in the home improvement industry, providing the highest quality in Roof Restoration services to customers throughout Australia. With over 30 years experience in this Industry, we take great pride in our products and workmanship, providing you with quality works that will increase the value of your property and give you peace of mind for many years to come. 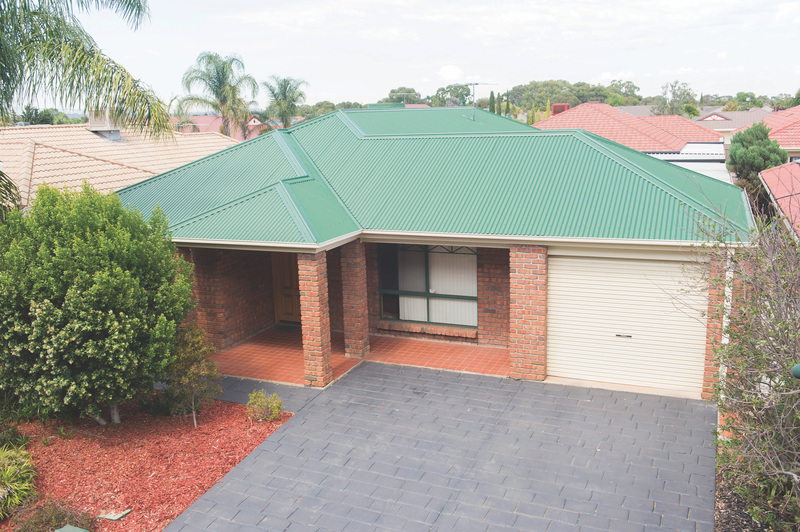 The name Roof Seal® is one of the oldest names in the roof restoration industry and has grown to operate in most Australian states while satisfying over 78,000 customers in the process. 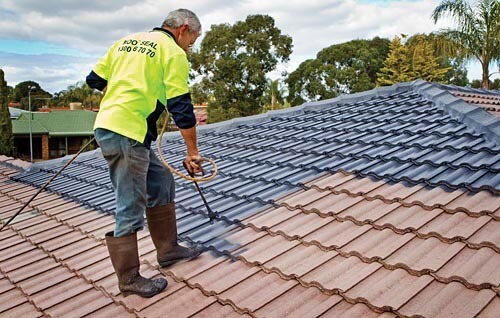 Ellemex is exclusive to Roof Seal®, providing top quality protection for your tiled or iron roof, in a manner that eclipses all other preparations currently available. The basis for Ellemex’s strength and success lies in the unique formula. Developed after literally thousands of hours of research and evaluation and test applications. Ellemex has its own ‘secret formula’. I am most impressed with the workmanship and the roof – from start to finish there were no hassles whatsoever. There is a great sense of well-being in knowing that the roof over your head is in good condition. 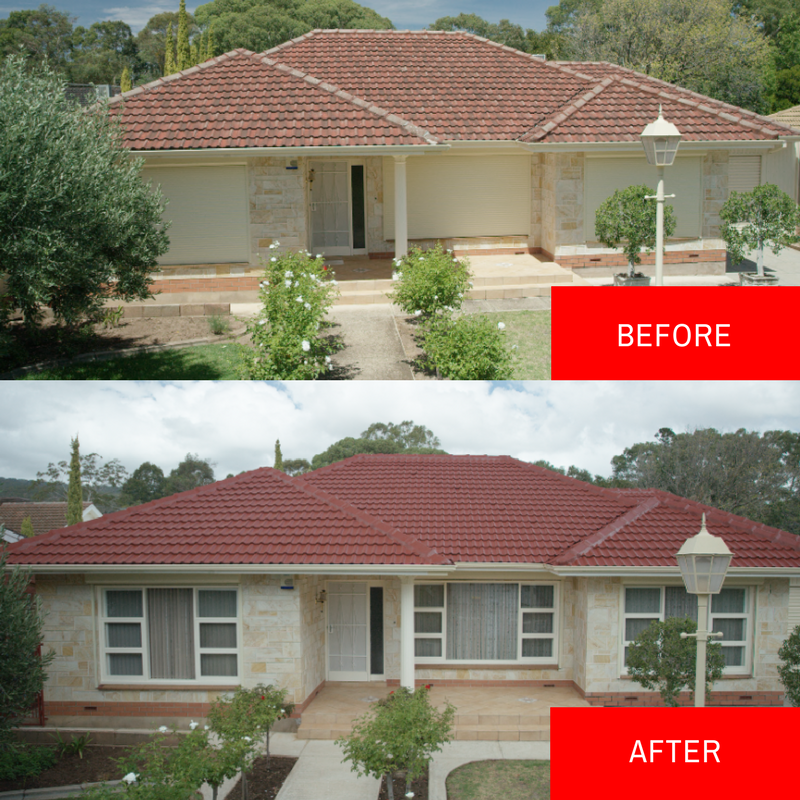 A professionally restored roof also beautifies your home. And the cream on the cake is the knowledge that a roof in good condition adds to the value of your property. All of this is achieved when you combine the Roof Seal care system and Ellemex, Roof Seals own range of roof coating products. When its all said and done there is only the right way to restore your roof. With so many variations in roofing products on the market it is simply impossible for one product or one system to suit all roofs. The restoration of your terracotta roof has numerous benefits, particularly if you choose Roof Seal® as we have developed a breakthrough process for Terracotta tiles. We only use qualified tradespeople who work to the strictest standards, thereby ensuring we maintain the respected reputation we have worked hard to establish. 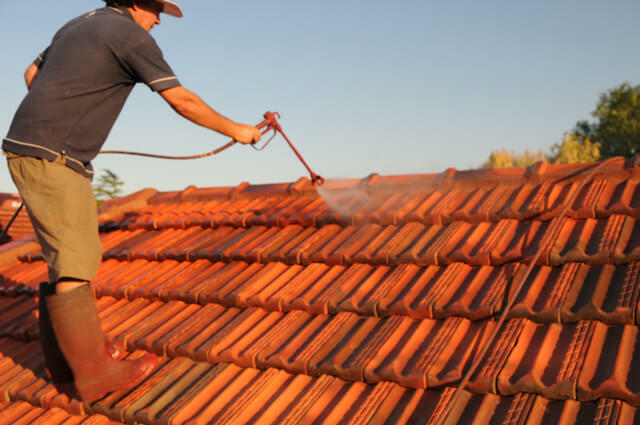 The first step of our tile roof restoration is to thoroughly clean your roof with a high pressure water application. This process removes all dirt and fungus, both of which contribute to the breakdown of your tiles. When the roof has been cleaned we apply our special sterilising coat, this being one of the major factors in the process. The solution kills all growth and inhibits any further re-growth of lichen, moss and fungus which ensures your tiles stay strong and intact. Depending on the extent of moss and lichen growth on your roof, this process may be repeated during the course of the job to ensure it success. Next, a careful examination is made and tiles that are broken or causing problems are removed and replaced. Once all the replacement tiles are positioned, re-bedding begins. Our Tradespeople repair and strengthen all ridge caps and completely re-point the entire roof using a flexible mortar compound as well as ensuring all tiles are properly bedded down.